Stand out in this web exclusive top from the Stella Morgan collection. Its asymmetric hem gives it a distinctive look, draping low for extra coverage. 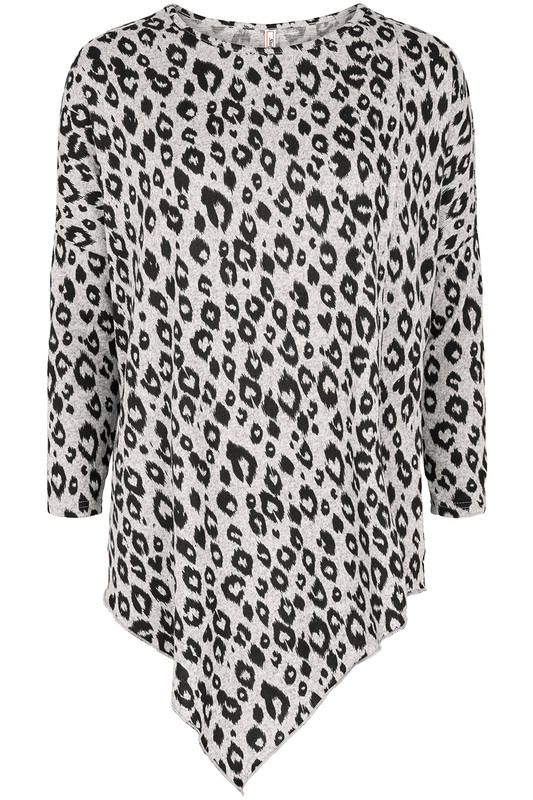 It has a classic round neckline and flattering 3/4 sleeves that add a dash of relaxed style. 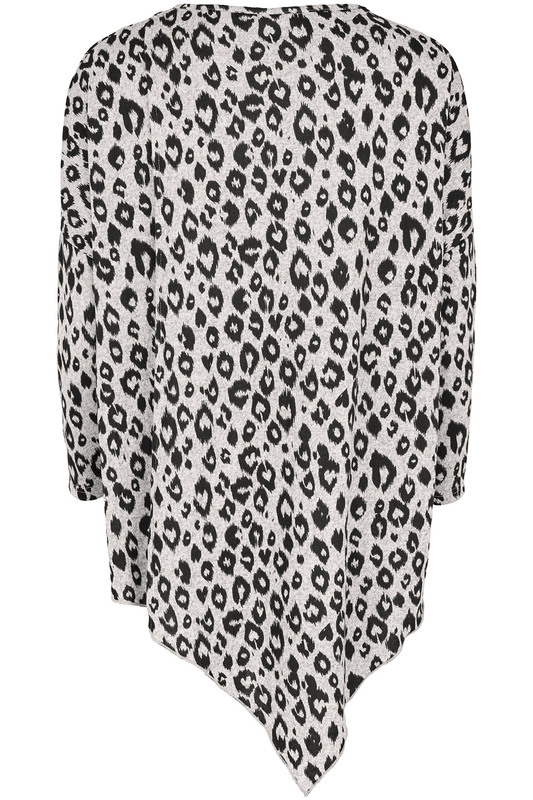 Featuring a glamorous leopard-print design, the top looks fabulous teamed with black leggings and heels for evenings out.